The United States has reacted to the recent chaos in Plateau state whereby up to a hundred lives were lost and so many injured. 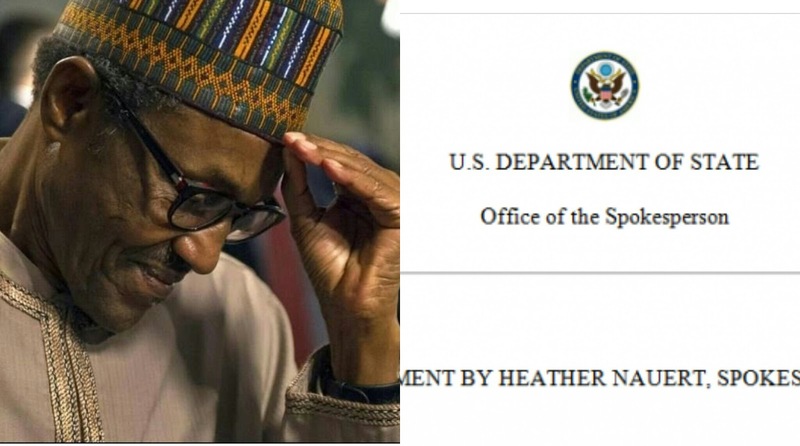 We have been furnished with a statement from the US Consulate in Nigeria, and in the statement, they condemned the attack and revealed that they join President Buhari in sending their deepest condolences to the victims of the attack and look forward to the capture of the pepertrators. 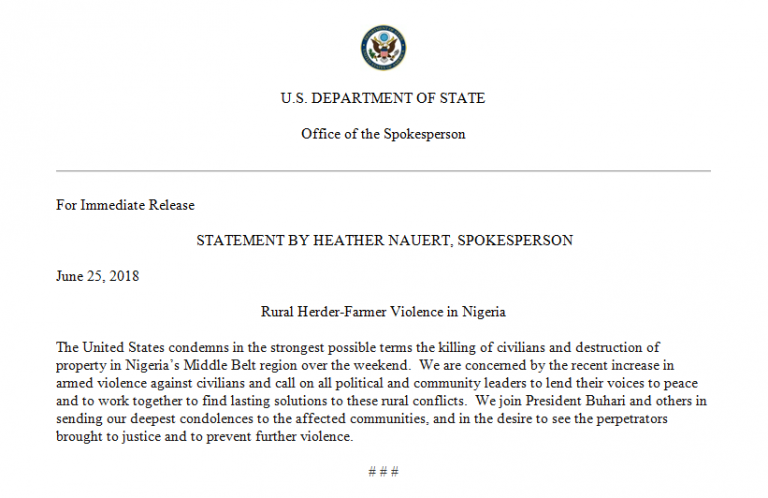 "The United States condemns in the strongest possible terms the killing of civilians and destruction of property in Nigeria’s Middle Belt region over the weekend. We join President Buhari and others in sending our deepest condolences to the affected communities, and in the desire to see the perpetrators brought to justice and to prevent further violence".